Being a full-time freelancer and working from home has many perks. You get to set your own schedule, work on your own time, and be picky about the work you take on, not to mention the freedom to work from anywhere with an internet connection and to take naps whenever you want. That being said, working from home can be a struggle, too. As the master of your own schedule, you are 100% in charge of making sure your work gets done, finding new clients, invoicing, and just about a million other tasks. To put it mildly, there’s a lot of balancing to be done during any given day. 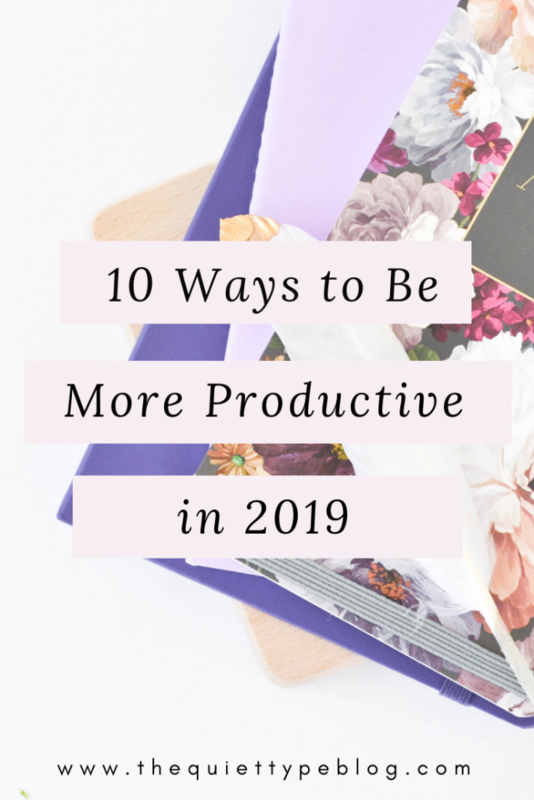 Finding the time to do everything you need to do can be a challenge, so making sure you’re functioning at a high level of productivity while working from home is a must. For some, that’s easier said than done. Sure, we all strive to be on top of it but for those of us that are procrastinators at heart, we often find ourselves boarding the struggle bus as we try to get everything done. Luckily, productivity can be learned with just a few adjustments and a little practice! 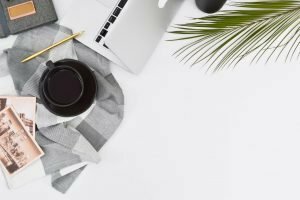 With these 10 tips on becoming more productive while working from home, you’re sure to find something that works for you. Batching content is where you work on the same or similar tasks during one stretch of time. 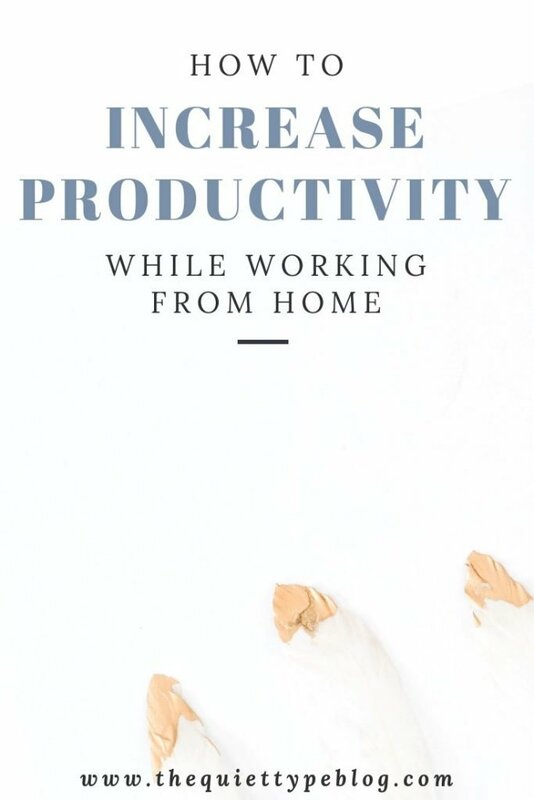 Doing so helps to increase your productivity while working from home because it limits the number of interruptions you may experience, as well as cutting down on the time your brain has to adjust when switching between tasks. For example, let’s say you need to write two articles for a client. Usually, when you write these articles there are specific tasks you need to complete in order to finish the article. Rather than going through the motions on each article separately, you would batch the similar stages of each article together. So, you would complete the research for both articles in one step before moving on to creating both outlines, etc. As someone who has a bad habit of getting distracted, batching has helped my productivity quite a bit and I could not recommend it enough if you’re struggling with time management. Working from home is great because it allows you to set your own work hours and creates flexibility in your day to day life. As amazing as this is, not having a schedule can have a negative impact on your productivity. Since you have that flexibility, you may find yourself putting tasks off until the last minute, which creates a lot of stress and the risk you may miss a deadline. To combat that, I recommend creating a schedule. First, create a schedule of when you plan to work. It doesn’t need to be set in stone, but having a set time you plan to work each day will help with productivity. Plus, you can plan your work hours around the time of day you find yourself the most focused and productive. Next, go through your client work and establish your own deadlines and input them into a task manager. When working on client projects, I like to set my own deadlines a few days before they’re due. That way, I’ll have more time to review my work with fresh eyes and I’m covered if something unexpected comes up. At times, working from home can put you in a funk. Unlike an office setting, there aren’t a lot of opportunities for human interaction and you may find yourself going a little stir crazy doing the same things day in and day out. This can make it hard to focus and it’s likely you’ll find yourself vegging out on the couch binge watching Friends for the hundredth time. When that happens, a change of scenery is in order. Take a short walk around the neighborhood to get some fresh air or pack up your laptop and head to your favorite coffee shop to work. Getting out of the house can give you a new perspective and improve your mood, which will increase your productivity. At the end of each workday, take a few minutes to plan out the next day. Write down what your biggest tasks are for the day, as well as any smaller tasks that are on your to-do list. Also, note when you’d like to take lunch or if there are any important errands or meetings for the following day. Having a clear view of what to expect for the next day will help you jump right in the next morning. Having a dedicated work space free of distractions is important to your productivity while working from home. Whether you’ve got the space to devote a whole room to your office or you need to improvise, having a dedicated work area is a must. Not only does it give you a quiet place to work, but it keeps you organized because all of your essentials are in one designated place. 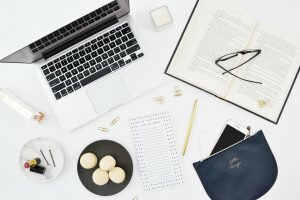 Having someone you can bounce ideas off of is so important as a new business owner and can help manage your productivity while working from home. Whether you hire a business coach or recruit someone to be your mentor, they will be able to help you identify what you should be doing in your business as well as how to stay focused and productive. A great way to increase your productivity while working from home is to set up aspects of your business to run on autopilot. You can do this by marketing through social media ads, using programs like MeetEdgar or Tailwind to post to your social media, or an appointment scheduler. Whatever makes sense for your business, use it. One of my favorite tasks to set up on autopilot is invoicing. The free invoicing software I use lets me schedule automatic reminders for each invoice and allows my customers to pay via the invoice. It saves me time because I don’t have to pester clients for payment. Before each week begins, take some time to decide what the biggest task are that you need to complete. Having a list of everything you need to accomplish during the week will help you decide what should be a priority and what can be rolled if you run out of time to complete it. Make sure to take a peek at your upcoming deadlines while you do this. One of the best ways to free up more time to work on more important projects is by outsourcing tasks. Outsourcing will take time-consuming tasks off your plate and free you up to tackle the aspects of your business you actually enjoy and bring in the most money. As a new freelancer, you might not be able to afford this right off the bat but it should be worked into your budget as your business grows. Rather than looking at outsourcing as a loss of profit, you need to consider the ROI (Return On Investment) you’re getting. You may pay someone $200/month to manage your social media and other tasks for you but with the time that frees up, you can bring in new clients to recoup that cost and more than likely exceed it. When creating a template, you may need to do A/B testing to find the one that works the best. Once you’ve identified what your target audience or client responds to the best, all you’ll need to do is personalize each template. These are such great tips! Having a schedule is absolutely essential if you want to get anything done when working from home. I always make lists for each week, with weekly goals, and daily tasks, to keep up with everything. Otherwise, nothing would ever get done! Hi Tiff! I agree! I have several lists during the week ranging from a list of tasks I need to complete for the week as well as a “master list” of client projects due for the week, then I break them all down into my daily to-do list in my planner. It may be excessive but it really helps me stay on track and there’s something about writing everything out that makes me feel on top of things. Thanks for stopping by! I really need to try batching content, I am incredibly unproductive lately! Thank you for the amazing tips! These are great tips! I always get so distracted and end up just doing completely random things. I will have to try some of these, thank you for sharing! Thank you, I’m glad you enjoyed it! Finding something that works for you is the key to staying productive but sometimes it takes a little trial and error. 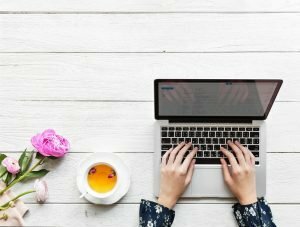 When I first started working from home, it was such a big change and I found myself getting sucked into time-wasting tasks (and a lot of naps) so it definitely takes some getting used to. Good luck! I am working from home now with two kids and it is a constant struggle to get anything done, so much to do and so little time….great ideas. thanks for sharing this. Hi Denise! Thanks for reading, I hope you’re able to find a system that works for you. Good luck! These are wonderful tips! A change of scenery is key for me! I spend my mornings working at a coffee shop and afternoons at my home office. Hi Bailey! That sounds like a great working schedule. Sometimes you just need to escape the house every once in a while to help kick start your productivity. Thanks for reading!